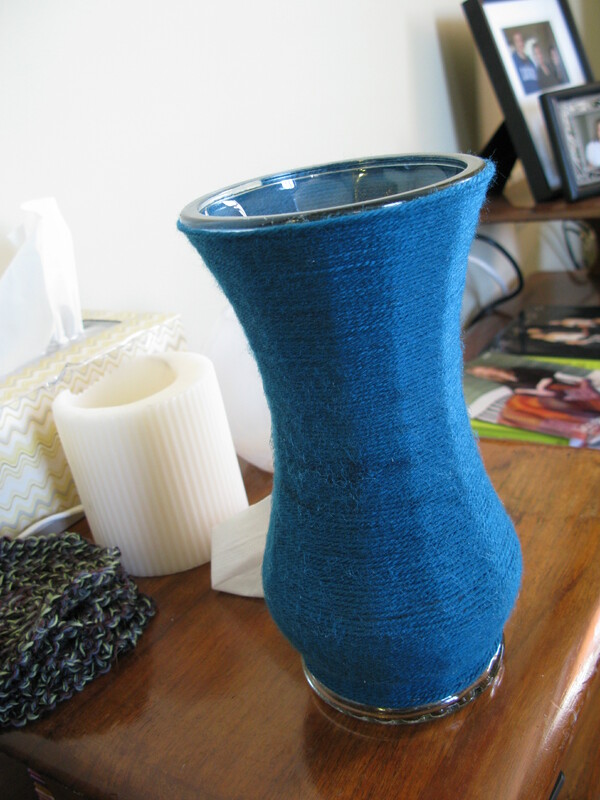 I saw this great idea in a yarn mag, and I just had to try it. It was a little tedious, but I think it turned out well. 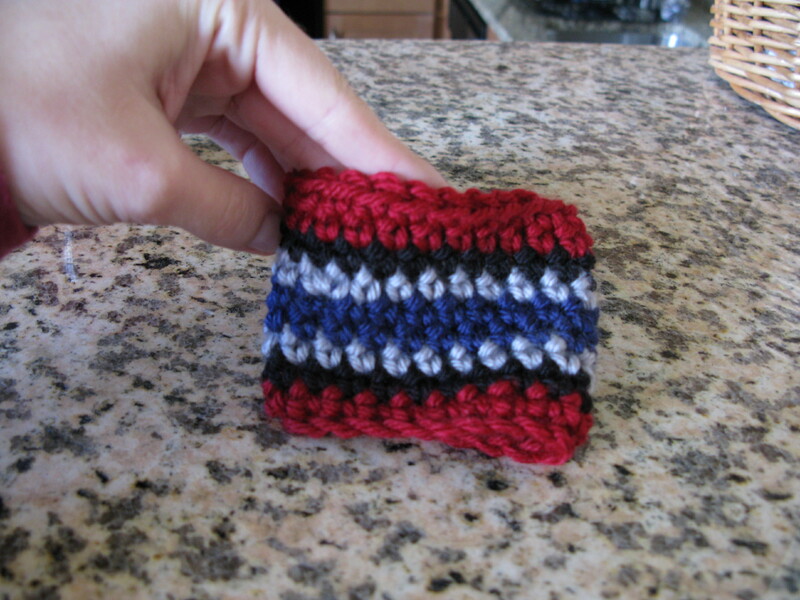 This is a great way to get rid of some excess colorful yarn. 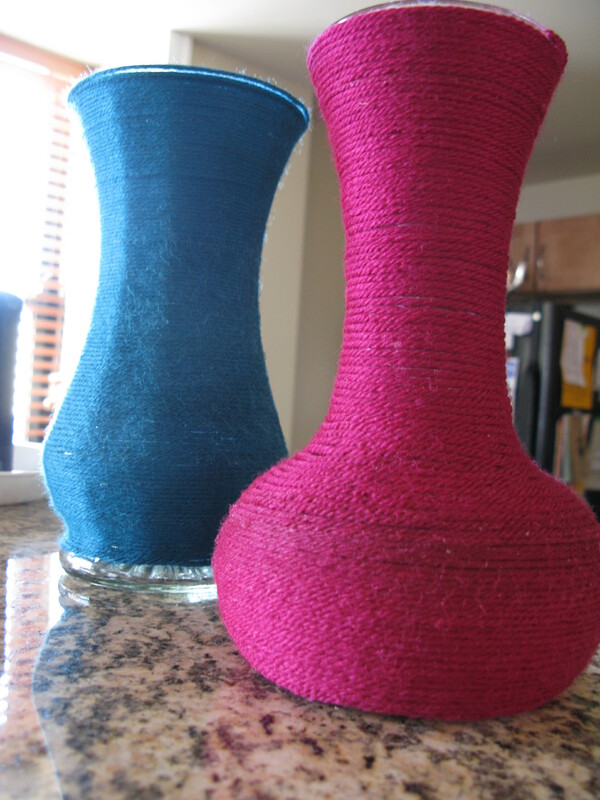 And do something fun with boring ol’ glass vases that have been sitting around collecting dust. 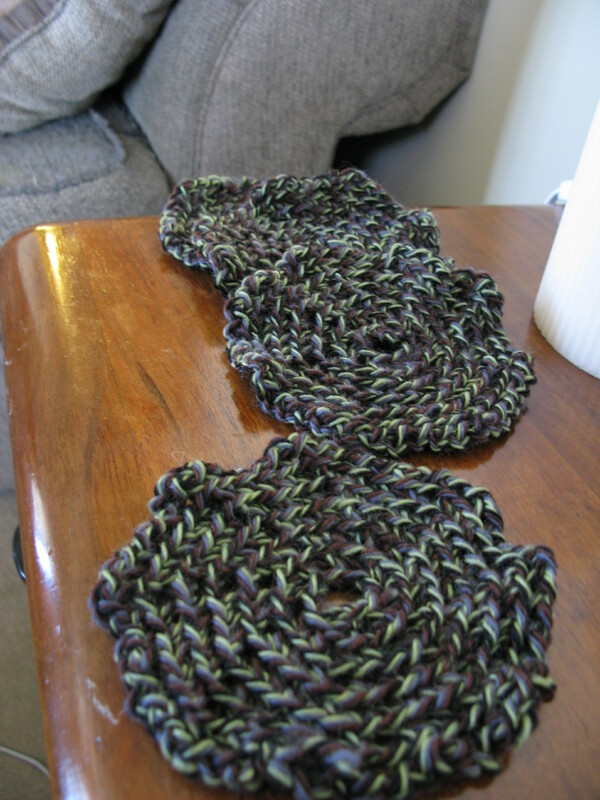 It’s pretty much Crochet 101 to make coasters, but I’ve never done it. So, ta da. 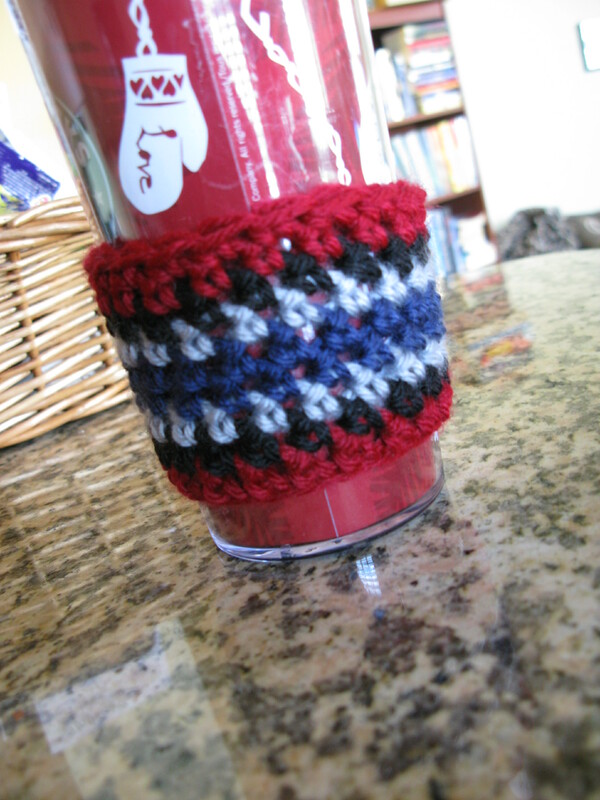 I’ve been getting really tired of repeatedly throwing away cardboard coffee cozies after I consume my caffeine fix while out and about. Presto, change-o. 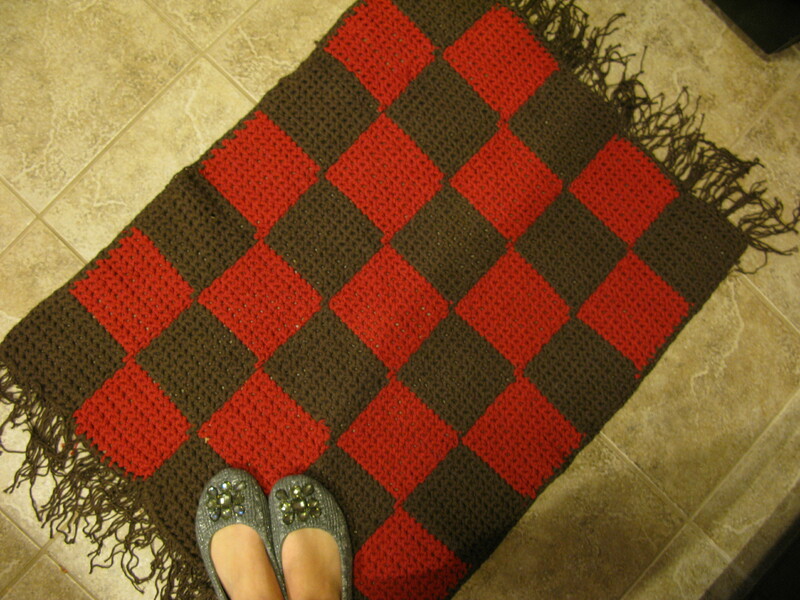 I also wanted something to warm up the barren kitchen floors. 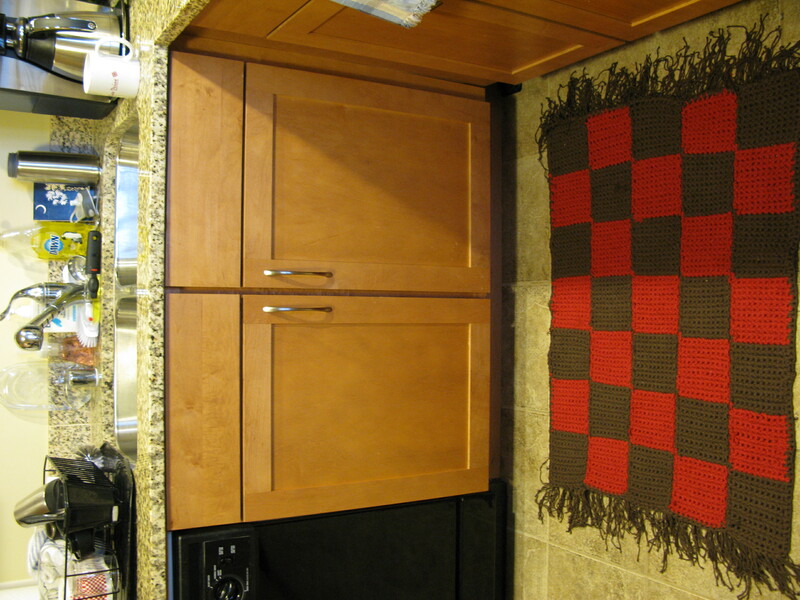 This entry was posted in Uncategorized and tagged craft, crochet, project. Bookmark the permalink. Mary, I might say that you have way too much time on your hands, but the things you have made are beautiful!! I am impressed. You obviously have a talent that has been latent all this time. !